No Rx required. Tapeworm capsules for dogs. Contains 30 -34 mg of Praziquantel per capsule(Same as the RX label your DVM sells for more money) for the removal of tapeworms. Dog owners report excellent removal of tapeworms using: 5 lbs and under - 1/2 capsule, 6-10lbs - 1 capsule, 11-15lbs - 1 1/2 capsules, 16-30lbs - 2 capsules, 31-45lbs - 3 capsules, 46 - 60lbs - 4 capsules, over 60 lbs - 5 capsules. 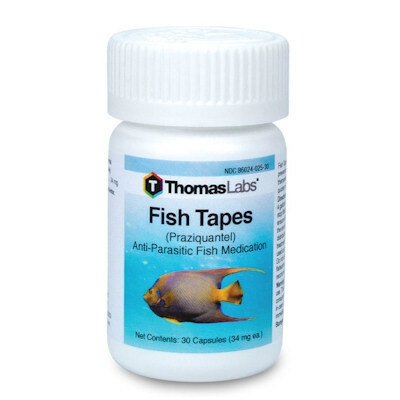 Praziquantel: The drug of choice that has been shown to be 95% effective in the treatment of adult tapeworm infections associated with both dog and fish species. It should be noted that Praziquantel does not kill the tapeworm eggs, so there is a high potential for reinfection with the eggs.